Froggeracing is 2 players only. Race! Crush frogs! Chuck barrels! Forever! You are racing another car? 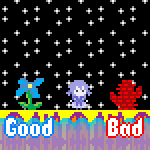 You get points or "laps" by passing the right edge of the screen. It is a single screen racing game. Frogs give you a boost! You can hit your friend's car, and made him drive into the wall. Or hit barrels to knock them into the path of the cars, and slow down your friend. 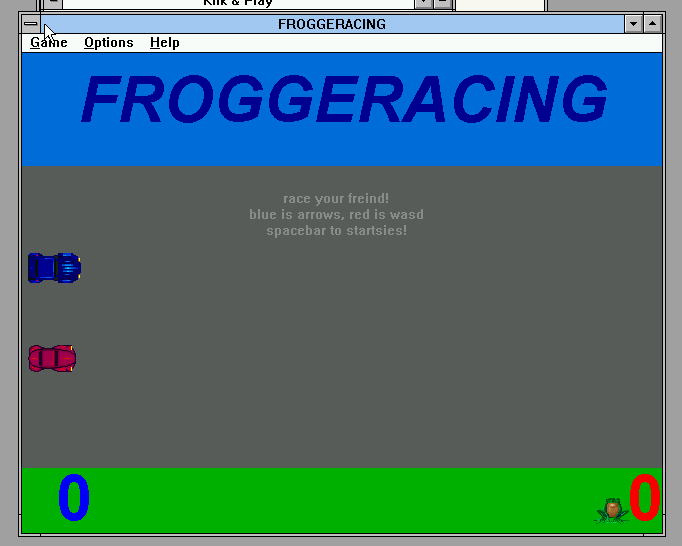 I wanted to make a racing game that looked like frogger.